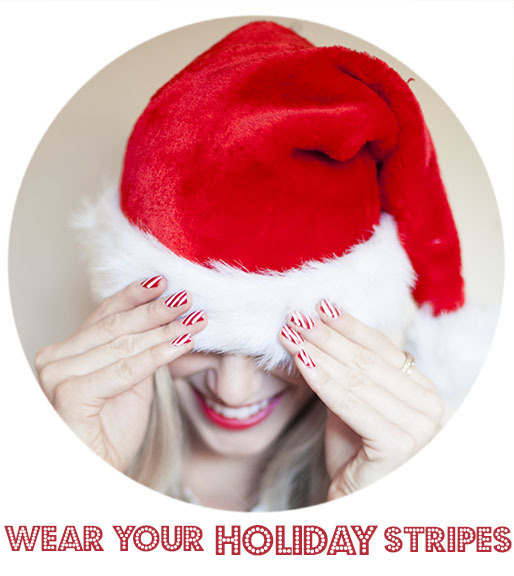 An easy way to wear your nails over the holidays is by painting them with holiday stripes. I used Essie's "Bungle Junlge" which I have been wearing for days! I then used Orly's Instant Artist in "Crisp White" and with a steady hand painted on thin, fluid stripes over the red at a diagonal. I did about 4 stripes per nail. With Orly Instant Artist, which I purchased at Ulta, the tip is so thin that you don't need to tape your nails for perfectly straight lines. Besides, they don't have to be perfect, they just have to be festive and fun! Love these! So fun for the holidays! these are SO cute. A must-try. so cute! perfect way to change a "dramatic red" into "fun holiday spirit"
How fun! 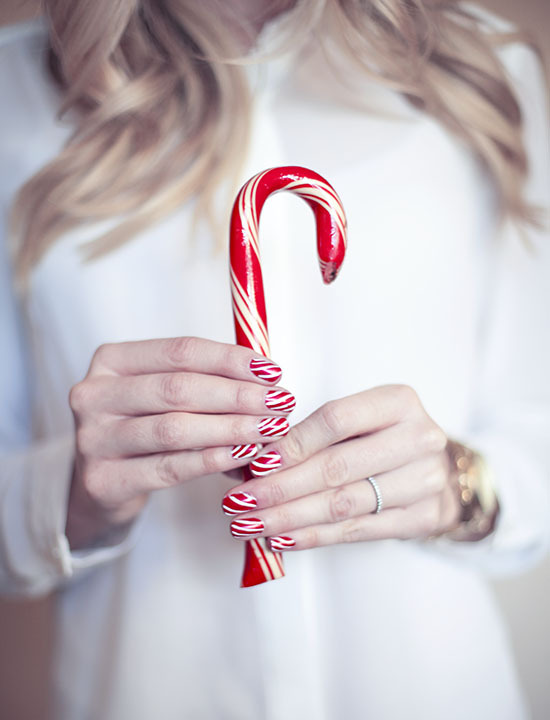 Makes me really want to have a candy cane if I'm being honest right now! Ha! These are so cute! perfect for christmas! Those are so fun! Perfect for Christmas. I love it! Can't believe you did those stripes by hand! They look super cutesy!! Adorable!! I wish I had the patience. haha!! Love it! I'm gonna attack my nails this weekend to make then extra festive for next week. Defo trying this! Perfect Christmas nails!! Might have to try this myself!! Your nails look perfect! I don't think my hand is steady enough to do that on my own. Recently I tried a matte version of a french manicure, that was interesting, the lines. I couldn't imagine having to draw several lines on each nail. How adorable! Love the festive look! That is so much fun. Very cute. So cute, Katie! :) Very Christmas-y and fun! 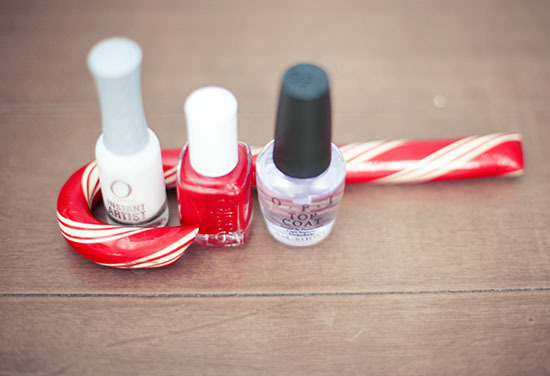 What a fun way to wear on your nails for the holidays!! I might try that tonight!! Glad I found your blog, so cute!!! Love the nails- how cute! !